Quick question for the female readers here: where do you usually get your lingerie from? If you’re the more ‘old school’ type, departmental stores and lingerie shops are still the go-to place when it comes to getting the much-needed support for your…sisters. But the problem with these offline stores is that the variety they carry is usually limited, and the options tend to be rather pricey as well. For example, a bra can easily set you back $40 and up. And those are usually the cheapest (and most boring) options too. Given that most women own at least a week’s worth of bras, lingerie shopping can thus be a pretty expensive affair. But with the rise of lingerie e-commerce stores that sell a variety of bras and bralettes, the average Singaporean woman now has access to some of the sexiest bras around – and she doesn’t even need to leave home to get it. 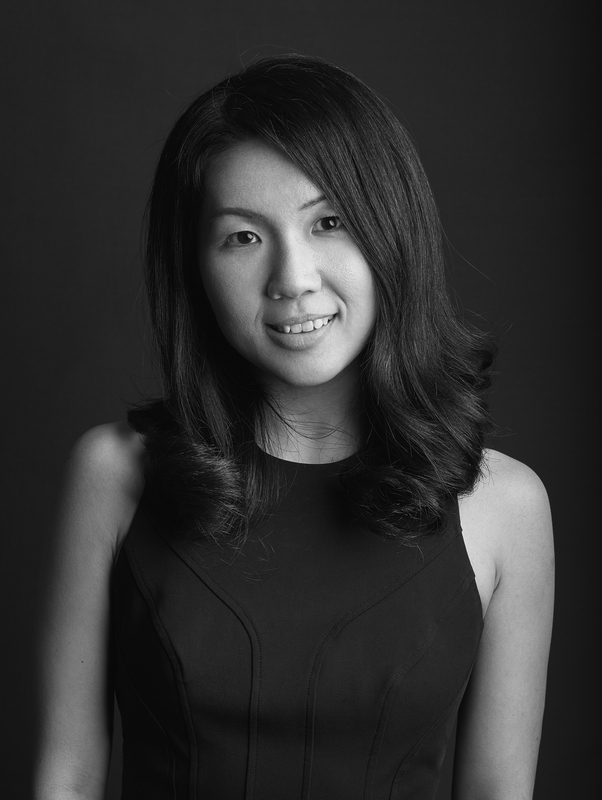 Perk by Kate is one of these popular online stores, and this is the story of the Singaporean behind the venture. Kate Low (32) is the founder of Perk by Kate, and albeit quitting her full-time job just last year, she had been running the business since early 2012. A full-time job is tiring enough – so what made her want to sacrifice her precious rest time to set up an e-commerce store? It actually stemmed from her personal lingerie-finding woes as a petite lady. I noticed a lack of lingerie choices in the market for small ladies. I was also quite unsatisfied with the limited range of brands carried by physical department stores, most of which focused almost exclusively on projecting a particular ideal body shape. It was then that she decided to start Perk by Kate – initially as a multi-label online retailer, selling cult brands like Eberjey, Lonely Lingerie and For Love & Lemons. After gathering feedback from customers, however, she decide to branch into lingerie design and launched her in-house brand, the Perk by Kate label, in 2014. Last year, she also introduced a custom lingerie service which allows customers to play a part in creating the lingerie of their dreams. But running a business and designing your own products, all while working full-time is no simple feat, and Kate admits that then, her whole life “revolved entirely around work”. It definitely involved a lot of disciplined time management and sacrificing of ‘fun’. Having opened way back in 2012, there weren’t many local online lingerie stores around then, and most just purchasing their lingerie from trusted international sites like Victoria’s Secret and ASOS. People were also just getting used to the concept of buying stuff from online, and the logistics industry wasn’t as robust and efficient as it is now. But even with the operational issues that came with running a business, Kate saw it as an opportunity instead. [It was a chance] for me to enter the market and become a first mover in Singapore, which would be a huge advantage if I could do it right. To counter the issues of fit, I even offered home fitting services! And it’s not just free shipping and a 60 day exchange and refund period that shows her dedication to her fans – she’s also very much in tune with what customers are looking for. This feedback eventually cumulated in the development of the padded bralette – “an idea that was conceived as a result of customer feedback over the years”. Bralettes were our best-selling style, however, they were unpadded or sometimes unlined, and that was a pain point for many of my customers. They didn’t get as much use out of those bralettes as they would like, even though they were very comfortable. They often just wore them to sleep, and I thought that was such a shame. The first collection of padded bralettes sold out within 2 weeks. We may be a small brand compared to the likes of Victoria’s Secret, but we have attained sufficient scale to produce our own laces, pads, lining and bands. She admits, however, that hunting for a trust-worthy supplier is “physically exhausting”. In spite of the less glamourous side to her glamourous lingerie collections, Kate sees her sourcing trips as a means to find inspiration too. “I enjoy the experience of trawling fabric markets in the region, talking to small businesses who are specialists in their respective fields. I design the pieces myself, and I look to my travels for new inspiration. Revealing that their growth is “slow and steady” since inception, they crossed the S$1 million mark for annual revenue for FY2016. Perhaps not very surprising, given that the lingerie industry is Singapore is said to be worth some $287.2 million last year in spite of the retail slump. While the figures are definitely impressive, what Kate finds joy in is when customers give her feedback and words of encouragement. When it’s constructive feedback, it is an opportunity to grow. When it is positive feedback, I know that my little venture has either helped or made someone happy. This is very important to me. She also mused about how one of the most heartwarming moments for her so far was during the photoshoot for her first Perk by Kate collection. To see a dream come true in its physical form nearly put me to tears. To see a whole photography andstyling team working their hardest to showcase perk by kate in its most gorgeous light made all the blood, sweat and tears worth it. Kate has definitely come very far with her venture, and for her, keeping the growth steady is her secret to success. She advices the same to aspiring entrepreneurs, and tells them to “start small and make tweaks to your business and product model along the way, until you find a model that is able to give you positive cash flow month on month”. Watch your cash flow and not over-invest when times are good, because this same cash flow will keep you alive when times are bad. As for her future plans for the brand, she takes care in making “continuous and steady incremental improvements” to the business, but reveals that she’ll be expanding the range to include silk lounge pieces, maternity lingerie, and sleep wear. Check out her gorgeous offerings over at her website here!